What’s Next To Philippine Fashion Week? With a loud bang produced by Manila Fashion Festival(MFF) on its first season towards the end of last year AND by its second by March of this year, it seemed like the whole local fashion scene has forgotten the prestige of Philippine Fashion Week(PhFW), something that it used to uphold for a long time. Lack of big sponsorships, media coverage and a creative edge, I thought we’ve seen the last of it. To share my opinion I think PhFW has remained strong. The number of participating fashion designers and brands may have dwindled over the past several seasons but PhFW continued to produce world-class runway moments and showcased memorable and outstanding designs from veteran designers plus all the buzz that comes with it. Sometimes it is better to witness a few but truly astounding ingenuity on the runway than to see a lot of designs but lacking creativity and taste. PhFW has also supported numerous local products and charity groups such as Burdang Taal, Novel Phils and Bantay Bata 163 to mention some, over the past seasons. A noble thing to do and at the same time a sustaining responsibility. Don’t get me wrong, I love a really good runway show with what a revolution Manila Fashion Festival and an elevated Pilipinas Men’s Fashion Week have brought to the table, it surely give the local fashion designers a huge opportunity and at the same time the responsibility to mature, push the boundaries and deliver world-class designs and clothing. You don’t simply say there’s now a reason to watch runway shows again, no, watching runway shows should be a routine already. It is a critic’s responsibility to always keep track progress and acknowledge each and every fashion highlight and lowlight, no presumptions just a celebration of local talent. I know you’d agree on my points, let me know your thoughts. So what’s next to the Philippine Fashion Week this coming Holiday 2015 shows? They’re moving to a new venue at SM Aura Premier, a collaboration with Power Mac Center – meaning a whole lot of urban fashion functionality, and a handful of superbly talented fashion designers including Jeffrey Rogador, Arnold Galang, Raoul Ramirez and Anthony Nocom. Mark your calendars as PhFW Holiday 2015 hit the runways on June 12 to 14, 2015. 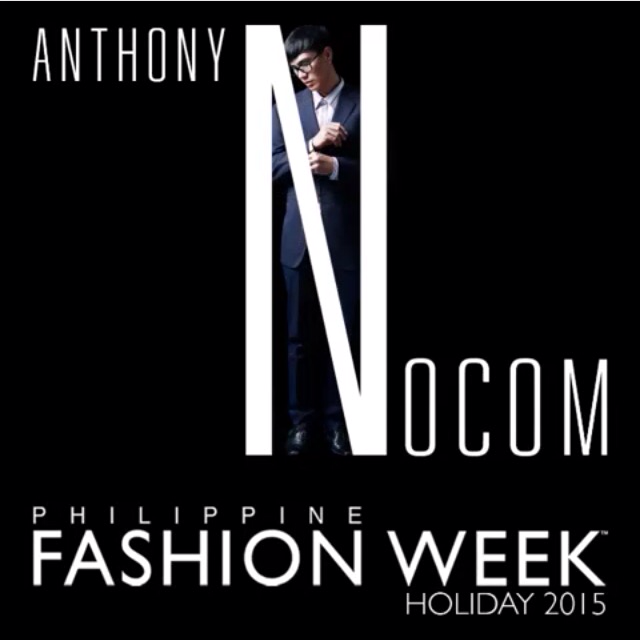 Stay tuned for more updates by checking out http://philippinefashionweeklive.com/holiday2015.